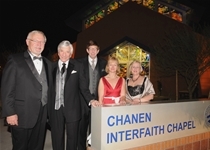 Ceremony naming the Chanen Interfaith Chapel at the 2010 Bright Lights, Shining Stars Gala. Pictured from left to right: Arthur G. Dobbelaere, Ph.D., Executive Vice President & Chief Operating Officer, Midwestern University; Herman Chanen, Chairman & Chief Executive Officer, Chanen Construction; Steve R. Chanen, President & Chief Operating Officer, Chanen Construction; Jeanne Y. Chanen, Attorney; Kathleen H. Goeppinger, Ph.D., President & Chief Executive Officer, Midwestern University. 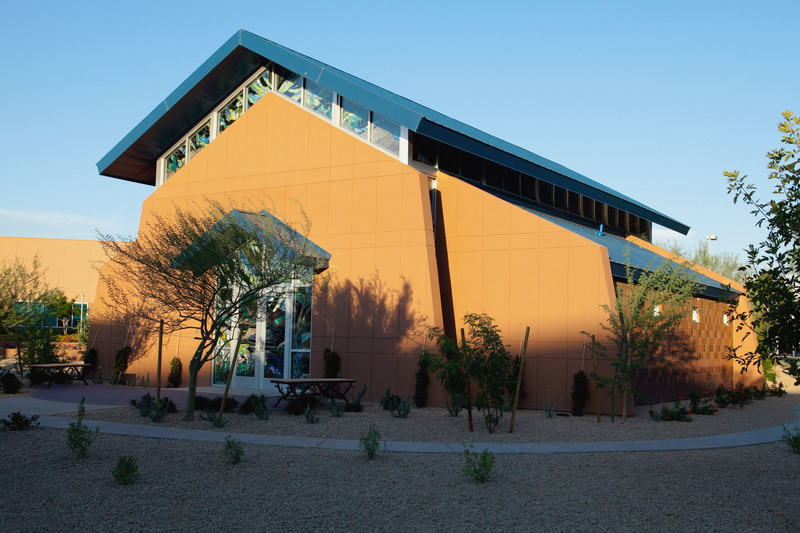 Exterior view of the new Chanen Interfaith Chapel. 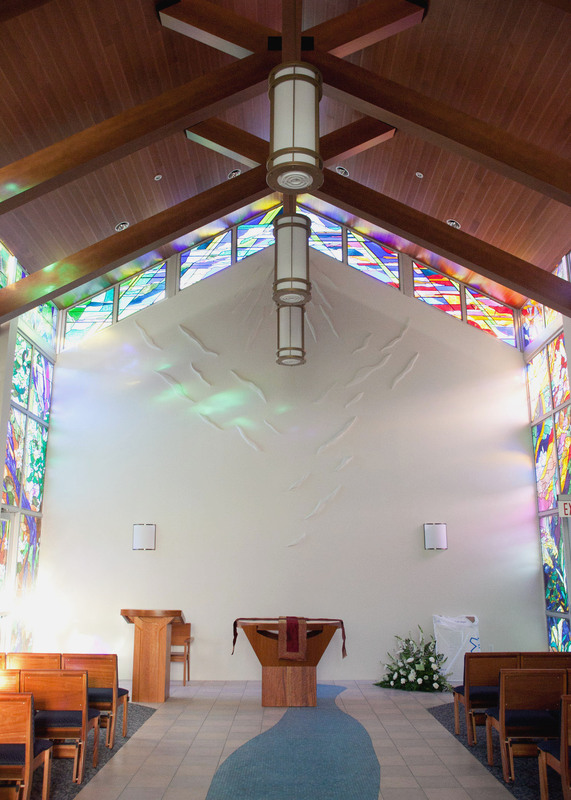 Interior of the new Chanen Interfaith Chapel from the pulpit. 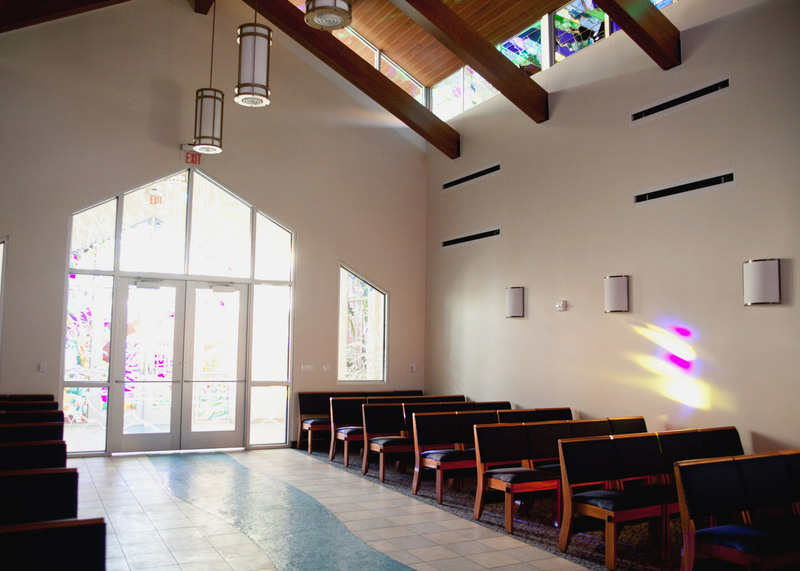 Interior of the new Chanen Interfaith Chapel from the back.